President Xi takes a hands-on approach and attaches importance to overseeing the details of the Belt and Road Initiative. Just a few days after his Asia-Pacific tour, Xi continued his diplomatic mission by paying state visits to Spain, Argentina, Panama and Portugal and attending the 13th Group of 20 (G20) Summit in Buenos Aires, Argentina. The Belt and Road Initiative, consisting of the Silk Road Economic Belt and the 21st-Century Maritime Silk Road, was ever-present throughout Xi’s foreign trips this year. China has cemented its ties with many countries along the routes, from those in the Middle East and Africa to the Pacific island countries and its Southeast Asian neighbors. Memorandums of understanding have been reached between China and the United Arab Emirates, Senegal, Rwanda and the Philippines to jointly construct the Belt and Road. China also reached consensus with Mauritius to sign an agreement on the Belt and Road Initiative as soon as possible. China and Russia agreed to further align the Belt and Road Initiative and the Eurasian Economic Union. In addition, China signed Belt and Road cooperation documents with Pacific island countries that have established diplomatic relations with China. It also signed intergovernmental agreements with Brunei including a plan on cooperation under the Belt and Road Initiative. As the chief designer of the Belt and Road Initiative, President Xi takes a hands-on approach and attaches importance to overseeing the details of the project. 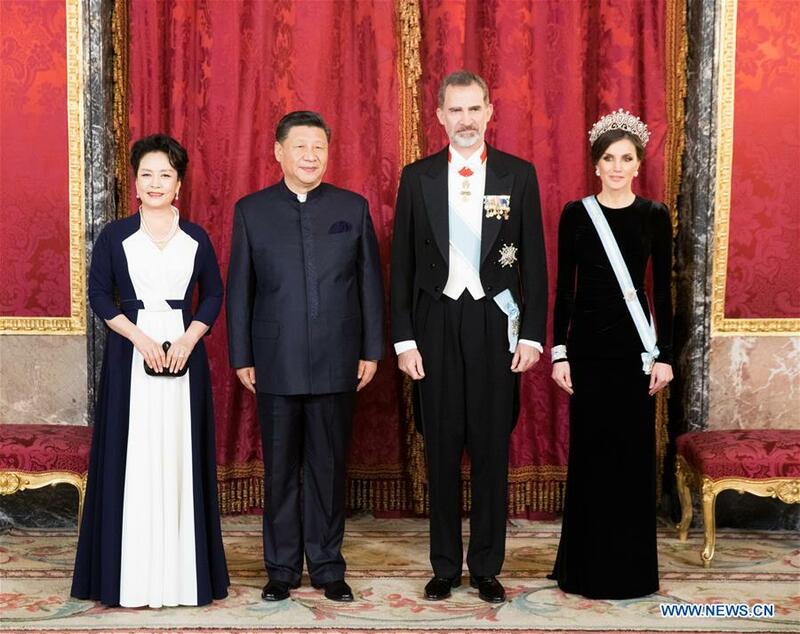 Spanish King Felipe VI said the Belt and Road Initiative would give a great impetus to the global economy and Spain is willing to take part in areas such as energy and infrastructure. Argentine President Mauricio Macri said the G20 Summit will create more opportunities for the interconnection between Argentina and the world. Panamanian President Juan Carlos Varela said Panama would like to use its unique geographical advantages to take the initiative in building the 21st-Century Maritime Silk Road, help to expand the Belt and Road to Latin America and contribute to global connectivity. Portuguese President Marcelo Rebelo de Sousa said that the country is willing to become a stop along the 21st-Century Maritime Silk Road. “With the future in mind, we need to engage in cooperation for win-win results. We should stay committed to openness, connectivity and mutual benefits,” Xi said at the Boao Forum for Asia Annual Conference in April. “We need to step up trade, investment, economic, financial, and connectivity cooperation to make this pie still bigger,” Xi remarked at the BRICS Business Forum in Johannesburg in July. “It is important for all countries to open and expand the space for mutually beneficial cooperation,” he said at the first China International Import Expo in Shanghai in November. China has always advocated the principle of achieving shared growth through discussion and collaboration to expand common ground for development and promote common well-being and prosperity. 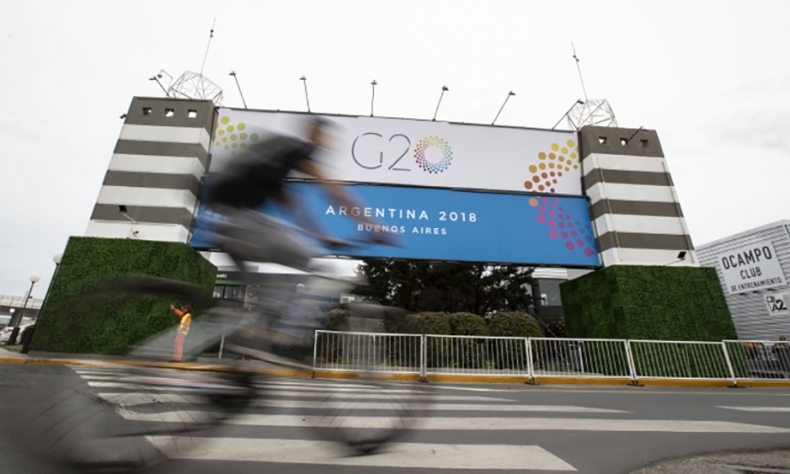 On the 10th anniversary of the G20 Summit when economic globalization, multilateralism and the free trade system are facing challenges, the importance of the 2018 summit in Buenos Aires has been brought into focus. A proposal of open cooperation and mutual development from China resonated among participants at the just concluded 26th APEC Economic Leaders’ Meeting. At the meeting, Xi said, “We have reached a crossroads of history when we must have a keen appreciation of the trend of our world and take the pulse of the world economy. That is how we will be able to respond to the call of our time and chart our future course accordingly.” China will continue to support the multilateral trading system and promote the joint construction of an open world economy. China has stood on the right side of history in dealing with international affairs, Philippine President Rodrigo Duterte said during talks with President Xi in Manila in November.